Written by Grey Sky Appeal & Esh the Monolith iTunes: https://goo.gl/3BWs0Q Spotify: https://goo.gl/HdAXM9 Check out the video for "Flatbush" here: https://goo.gl/8iQRtr The Brooklyn trio Grey Sky Appeal comprised of producer Taj Campman and emcees Subtex and Outwrite have teamed up with Boston’s Esh The Monolith to bring forth their latest offering, Moon Balloon. What began as a studio session in a dingy Washington DC hotel room, during the 2013 Brain Wreck Tour, is now a polished LP the four artists have carefully constructed over the past two years. The final product is one of a kind, wall melting, ear tripping, drug induced experiment in Lo Fi Psych Rap. 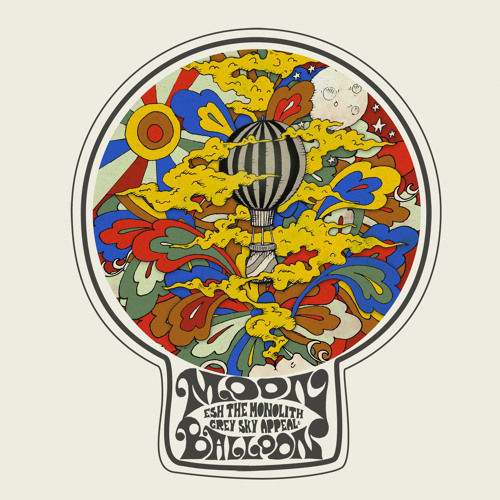 Moon Balloon is available now on all major digital retailers on cassette tapes on Aug. 4th via I Had an Accident Records.